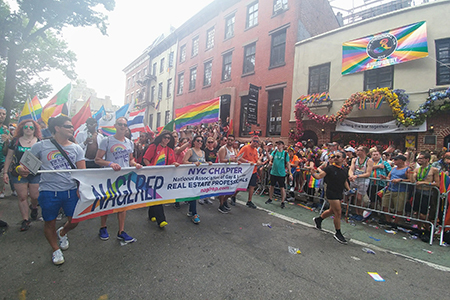 NAGLREP marches alongside The Stonewall Inn during NYC Pride. As the founder of the National Association of Gay and Lesbian Real Estate Professionals (NAGLREP), I can safely say this is my favorite month of the year. It’s National Homeownership and LGBT Pride Months! The convergence of the two has historical significance to real estate. I’m glad to shed light on the importance of LGBT Pride Month, results of a recent survey, and how real estate practitioners can gain marketshare within this growing niche. The Fair Housing Act of 1968 is now 50 years since, and it’s no coincidence just one year later, on the eve of June 28, 1969, a group of LGBT patrons resisted arrest at a Greenwich Village, N.Y., bar named The Stonewall Inn. Sounds like a non-issue, I know…but this act of resistance lead to six days of protests known as the Stonewall Riots, and was the impetus for the global LGBT civil rights movement and LGBT Pride Month. Next year, the world celebrates the 50-year anniversary of Stonewall, and federal fair housing law still does not include protections for the LGBT community. As I reflect on how all of this affects real estate, I think of the consumer—our customers—and how we can better understand them to grow our businesses. According to a recent survey published by GLAAD, millennials are significantly more likely than older generations to identify as LGBTQ and to be allies of the community. GLAAD’s third annual Accelerating Acceptance report surveyed 2,037 U.S. adults ages 18 and over last November in partnership with Harris Poll. The report revealed 20 percent of the youngest respondents (18-34) identify as LGBTQ, a notable increase from 12 percent of Generation X (ages 35-53) and 7 percent of the baby boomer generation (52-71). The survey also found that acceptance and understanding of the LGBT community has reached historic levels, particularly among young people. The economic power of the LGBT community can’t be overstated. With $940 billion in annual buying power and the $1.7 trillion in economic input the community makes, it’s time to take a greater look at the LGBT community of homebuyers, sellers and renters. 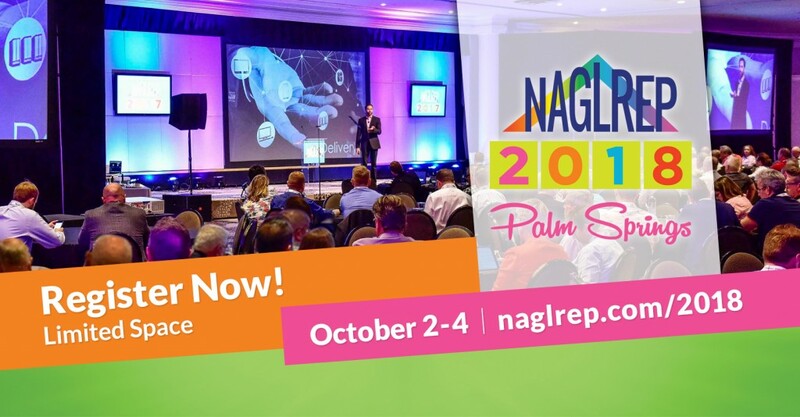 While the country enjoys Homeownership and Pride Month celebrations each June, we will also soon come together for the fifth annual NAGLREP Conference on October 2-4 in Palm Springs. This year’s event will set a new record for the largest gathering of LGBT and allied real estate professionals, while also setting a new benchmark in bringing real estate and LGBT leadership together. We are thrilled that attendees will learn from the likes of Brad Inman, Realogy Franchise Group CEO John Peyton, HSF Affiliates CEO Gino Blefari, Better Homes and Gardens Real Estate CEO Sherry Chris, and Engel and Vӧlkers North America CEO Anthony Hitt. We will discuss the changing face of the real estate industry, the impact of technological advances, and how to best reach the LGBT community and its nearly $1 trillion in buying power. NAGLREP’s increased role within the LGBT community will also show itself as leaders from prominent LGBT groups including HRC, the National LGBT Chamber of Commerce, SAGE, Lambda Legal and others also join us in Palm Springs and help shape the homeownership discussion. Our annual conference is routinely cited as the best of the year for our attendees. We have such a healthy mix of great sessions, networking and fun, led by our emcee, comedian Alec Mapa. NAGLREP has been so well accepted by the real estate industry, and we encourage anyone interested in attending our conference to think of it as Pride Month extended. LGBT or allied, come enhance your business, your career and your life—and Palm Springs in October? Well, that’s not too bad, either! Register at naglrep.com/2018 and I’ll see you there. Jeff Berger is the founder of the National Association of Gay and Lesbian Real Estate Professionals (NAGLREP). For more information, please visit www.naglrep.com.